THURMONT, Md. 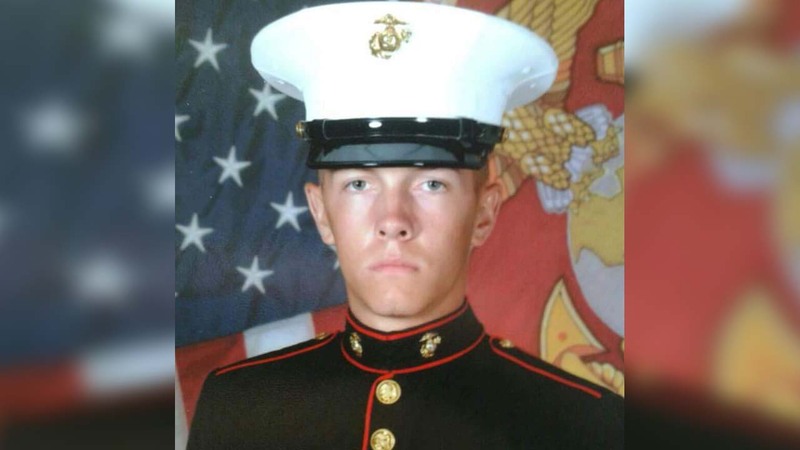 -- Police are looking for the driver of a truck that struck and killed a North Carolina Marine who stopped to help a disabled vehicle in heavy rain. Maryland State Police say 21-year-old Marine Cpl. William Ferrell of Carthage stopped to help a disabled vehicle on U.S. 15 in Thurmont Tuesday night. Police say Ferrell was assigned to Camp David, known formally as the Naval Support Facility in Thurmont. Police say Ferrell was beside his Nissan Titan pickup truck on the shoulder when a tractor-trailer or heavy-duty pickup with a car-hauling trailer left the road, striking and killing him. Witnesses tell police that as they tended to Ferrell, the truck stopped for a few minutes, then pulled away. Police say the truck should have damage to its right side. "The command is heartbroken by the loss of one of our own, and our thoughts and prayers are with the family and friends of Cpl. William Ferrell," said Col. Benjamin Watson, commanding officer, Marine Barracks Washington, D.C. "During this difficult time please know that William was a selfless Marine, and his actions reflected his strong and noble character, one that epitomizes a United States Marine."